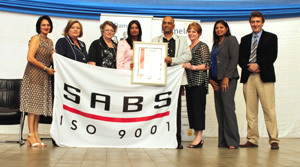 Damelin Randburg proudly received ISO 1900:2008 certification from the South African Bureau of Standards on Wednesday, 4 December – marking a momentous milestone for the Damelin Education Group. The award was presented to the Group CEO, Louise Nair, by General Manager of Services Certification, Peter Haasbrook, at a function hosted at the flagship campus and attended by various role players involved with the brand. Aligned with a proudly South African and internationally recognised institution, the South African Bureau of Standards will act as Damelin’s quality management system auditors to independently assess the institution’s systems to ensure that they are quality compliant and have successfully established the standards set by the SABS. “We are not only raising the standards of quality excellence at our 17 campuses nationally, but also at our distance-learning brands, including Damelin Correspondence College, INTEC College and Lyceum College. It is our goal for all 32 of our sites to be ISO endorsed. This will enhance and strengthen our drive to expand our national as well as our international footprint into the SADC region and further north into various African countries,” said Ms Nair. In his opening address, Mr Haasbrook commended Damelin for the excellent way in which they conducted the ISO certification process. “I was very impressed with the speed in which everything was done, as most companies can take up to two years, but Damelin completed the process in a few months. Well done to the team,” he said. 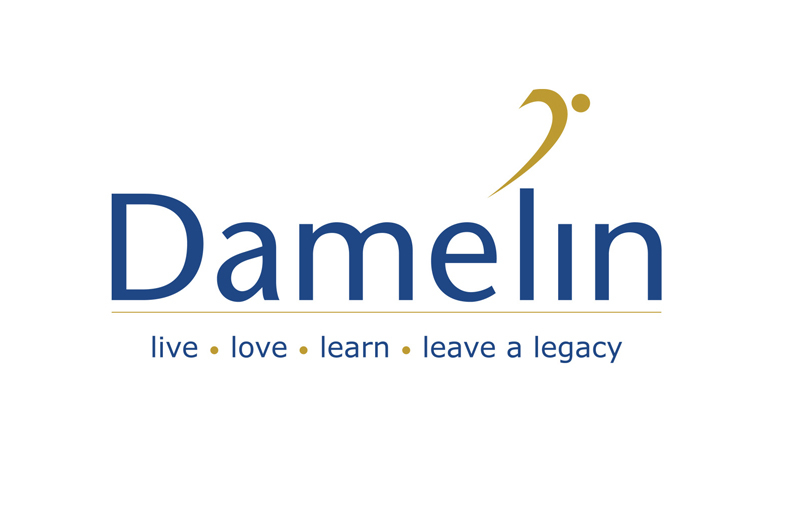 Damelin is a private education institution with a strong legacy of 70 years. It is registered with the Department of Higher Education and Training (DHET) as a private Higher Education Institution, and as a Private Further Education and Training (FET) College. All Damelin Higher Education programmes have been accredited by the Higher Education Quality Committee (HEQC). 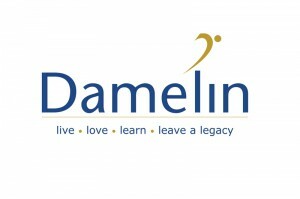 As an institution, Damelin offers a wide range of qualifications allowing you to pursue a Degree, Diploma, Certificate, Short or Skills programme of your choice on a part-time or full-time basis. The Randburg campus is a benchmark for all our campuses. It is the largest of our 17 campuses, catering for 2,500 students. The campus is fully equipped to ensure a high standard of quality education, tailored to the needs of the student. The goal of the organisation is to create a unique learning experience that leads to a qualification of value. It is this underlining mission that has spearheaded the quality process, which culminated in the achievement today. “To achieve this vision, quality needs to be deeply entrenched in our core values and be seen as a key factor to our success. Our Group’s approach to quality combines the concept of team commitment and a strong focus on each student. As Group CEO, I am pleased to be part of this important journey, as we transform not only Damelin and its campuses, but the Educor Group as a whole,” said Ms Nair.